an enabler rather than a reformer." to love life, to love themself, to love being loved. gone it seems the rivers run dry. You never imagined it could turn out so rough. be alive in you still. you'll never forget the words you promised that day. is not a feeling it's an act of your will. that I thought that he might like to see me do around the house. is because our beliefs and our convictions will be the very thing that dictates the way that we love. The decisions we make will be based on obedience to God's laws rather than the foolishness of man. “The two will become one flesh. I hope and pray this video helps. who met all the conditions? were married to someone who never failed you? Who is never difficult with you? Who never sinned against you? favor on someone who did not deserve it? 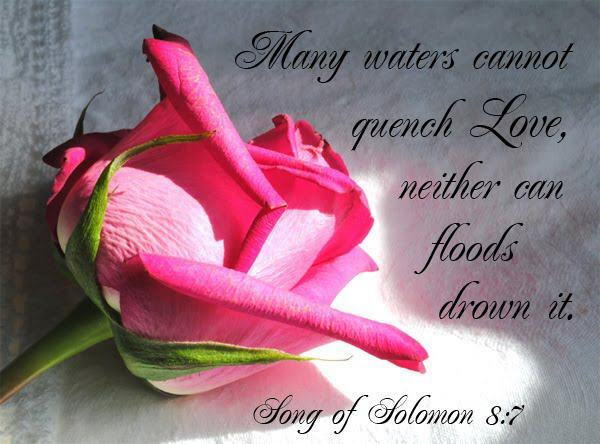 but (just as in all life's struggles) - we realise marriage also builds character -ie makes us depend on God. so that we might learn unconditional love. so that we learn to give it. so that we learn to pour ourself out on a person who does not respond appropriately. The video: Paul Washer, John Piper, Voddie Baucham. God meets our needs, another person -is as needy and flawed as we are. The way to find peace is to continue to give thanks for the good we chose them for. There was a point in my marriage that I would spend days praying that my husband would change. Really, for our last two years together I prayed this more than I prayed about anything else. In August of this year he finally had enough, and called it quits. About a month into our separation I was still praying essentially the same prayer. And then I heard God speak as clear as if he were sitting on the floor of my bedroom with me. What?! Me? Poor innocent Christian me? There’s just no way that I could ever be the problem! Obviously the problem is him! But God was very firm and stood his ground. Then over the next few days God showed me what it was like to live in our house with me and I was shocked. Devastated and shocked. I may have been the most angry, unforgiving person ever to exist on this planet. it's a house we enter in then commit to never leave. Love is a shelter in a raging storm, love is peace in the middle of a war. If we try to leave, may God send angels to gaurd the door. Love is not a fight but something worth fighting for. 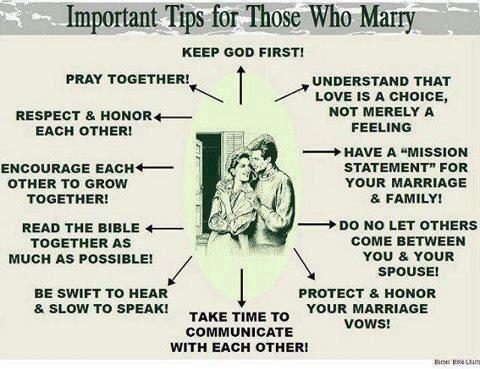 but once they have fallen out, keeping their word is hard to do..."
A thriving marriage requires intentionality! 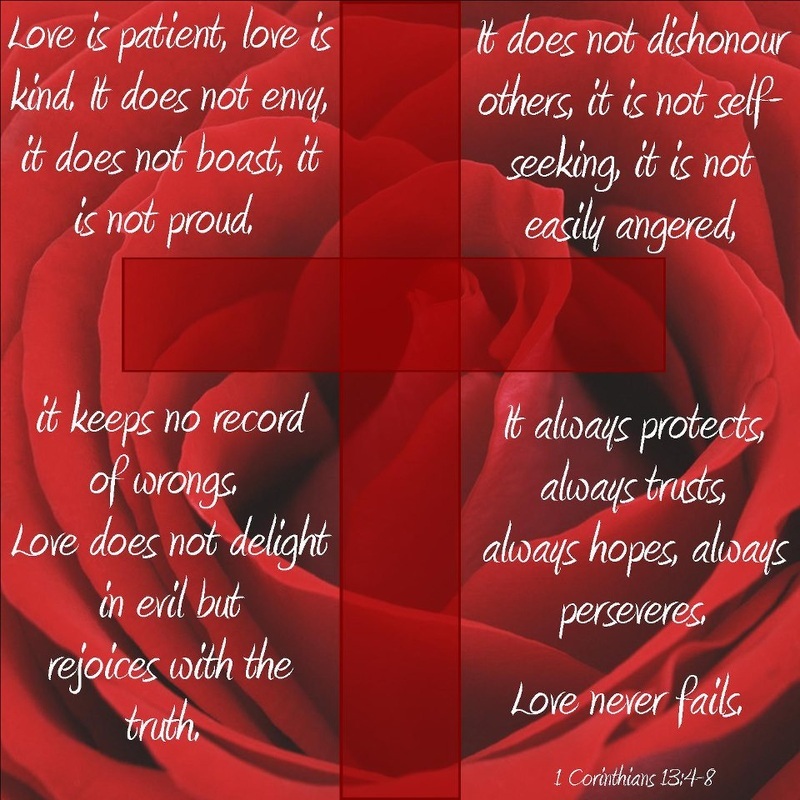 How Do You Treat Your Spouse? but it wasn't happening? Do you ever feel God promised you something, but it hasn't happened? I prefer to do as God wants, and then if the path seems to go rocky, I find peace knowing God's plan is operating. Trusting God is in control- takes the fear out of it. Loneliness drives us into the arms of Jesus. People will disappoint us, unfriend us, forget to call us back, or move away. it’s not just a love-sized hole. and that’s why He made it. You are the one, in my dreams at night. You are the one, I’m holding so tight. You are the one, I want with me. You are the one, I want to touch. You are the one, I need so much. You are the one, that I’ll forever love. You are the one, sent from heaven above. I want you to be my everything. I love you so much, and forever do. I’m not sure what storm you’re facing. I’m not sure when another will come. I’m not sure if the end of the storm is near. I’m not sure how it will be resolved. I’m not sure why this storm is yours. I’m not sure who’s in the eye with you. I’m not sure how long you been in its midst. I’m not sure what lesson is being taught. I’m not sure why HE allowed it to happen. At times, I’m as unsure, as uncertain as you. I struggle to understand why a storm is mine. I struggle to understand what I am to learn. I struggle to believe some day it will end. I struggle to believe it is not a punishment. I struggle to think any good can come out. I struggle to think a storm could be profitable. …choose to believe He loves me. …choose to believe He has only my best interest at heart. …choose to believe the truth of His mouth. …choose to believe the power of His hand. …choose to believe He can calm the storm. …choose to believe He WILL calm the storm. negotiated a peace treaty, or cured a disease. or a country out of bigotry. Fear never saved a marriage or a business. Courage did that. Faith did that. to their timidities did that. hope for your marriage and strength to carry on even through the tough seasons. enjoy each other, enjoy your children together. Be sure your spouse knows that they are still the love of your life. 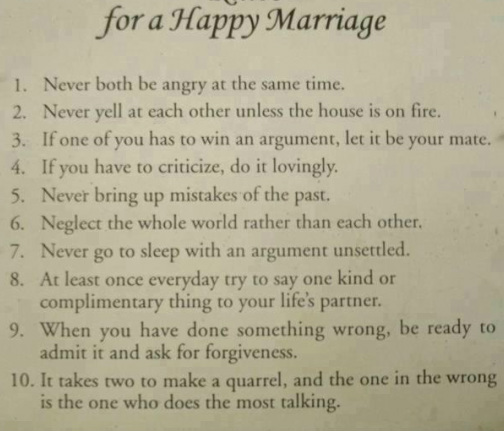 Take the time to take care of your marriage and each other. Remember you married them first, then you had kids. 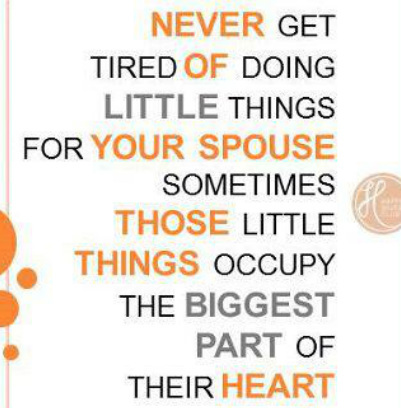 Don't ignore your spouse ...they are still there. 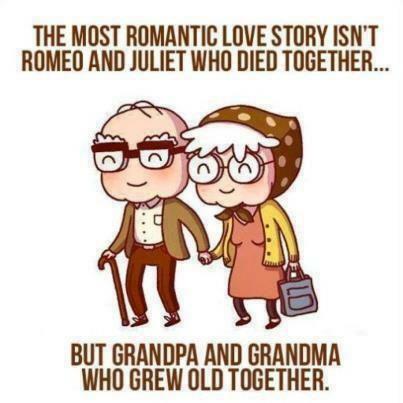 Love them, do special things with them, make time for just the two of you. That doesn't mean your kids don't matter, it just means they are all special in your life. not always warm and fuzzy but you love them faults and all we all have them. LAUGH together ! For laughter truly is the best medicine! but those emotions don't last. People get used to each other and when trials come its easy to give up. you CHOOSE to love that person regardless of what life throws at you. of trying to make your significant other feel special. 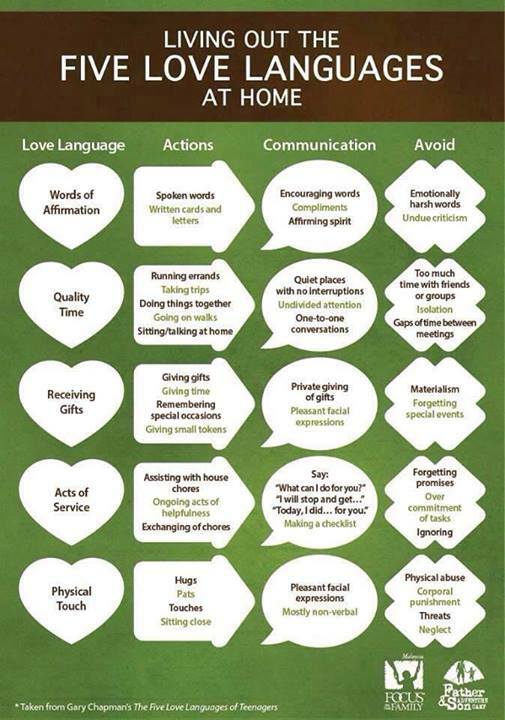 If you show your spouse attention in some of these ways your intimacy will never run dry. Being in love is so much fun, and most of these things are very good suggestions. If you stop talking, touching, and doing cute things for your spouse-what happens? Some of these ideas could be just the thing your marriage needs to spark love again into something beautiful. for there will be hurt to overcome. We must pray, forgive and ask God for the wisdom and healing to come. so maybe wait til morning before sorting out an issue. Do not expect great understanding, if you are both over-tired..
Trust God that He can help you through - He believes in marriage, so He will help you. Friction is NOT the end of your marriage, it is normal, you do have God's power. 11. Read a marriage devotional and ask how you can pray for your spouse. 19. Spend time apart occasionally, ie renew interest in other hobbies etc. 31. Kiss every day, but say something nice first. at least discuss it, so the other knows what's irritating.